Roasting in the oven is one of my favorite ways of cooking brussel sprouts! The prep time is only a matter of minutes and the end result is an oh-so-satisfying nutty and crunchy bite. My advice to you on this dish is SEASON AGGRESSIVELY. Salt makes all the difference. Slice the tough ends off the brussel sprouts and remove any undesirable wilted leaves before halving each sprout. Place the brussel sprouts in a large enough zip lock bag and add in the olive oil, salt, and pepper. Shake up the bag until each brussel sprout is sufficiently dressed. Transfer to a baking sheet and roast in the oven, shaking the pan occasionally, until browned and tender, about 40 minutes. 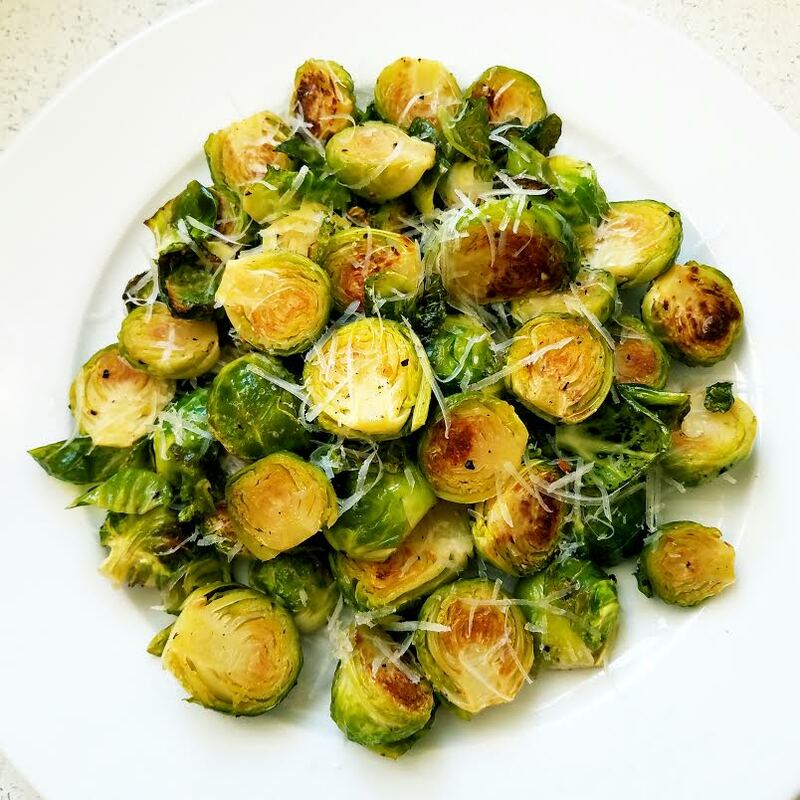 Plate and grate some Parmesan cheese over the brussel sprouts!